Horological snobs will remind you that the tourbillon no longer has any practical use in a wristwatch, since it was designed to compensate for the effects of gravity on the constant vertical position of the pocket when worn. As the watch moved from the pocket to the wrist, it found itself in many different positions, which compensated for the effects of gravity and made the tourbillon more decorative than functional. Several Swiss watch brands have, however, brought the tourbillon into the 21st century by devising triple-axis tourbillons. These complicated carriages rotate simultaneously about three different axes, as opposed to the original tourbillon’s single axis. As a result, the tourbillon is never in the same position and is therefore immune to any effects of gravity. Here we take a look at three different interpretations of the triple-axis tourbillon. 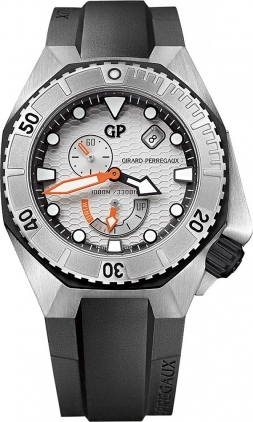 All have a very distinctive design and an equally distinctive movement. The main principles and specifications of each movement are similar on paper, each being a hand-wound 3Hz calibre with a power reserve of between 50 and 70 hours. 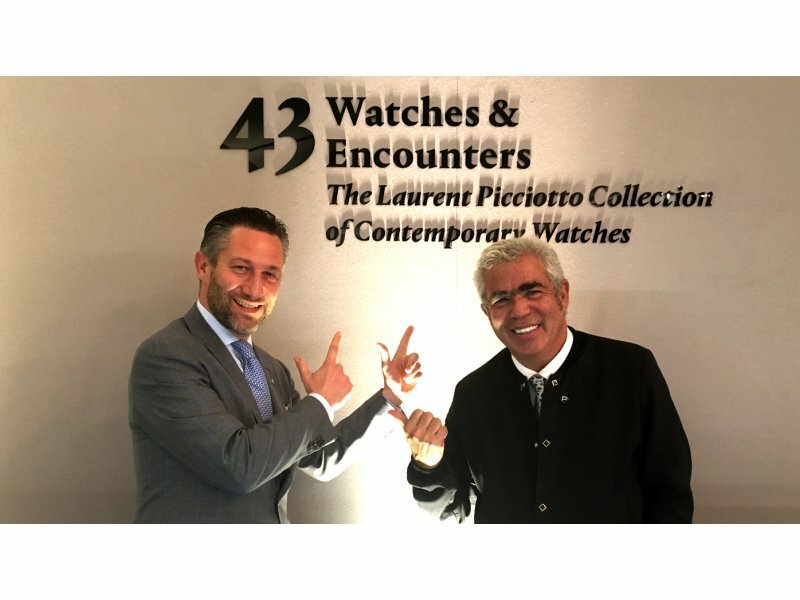 Yet they all differ in one very important respect: although their tourbillons all revolve around their first axis in 60 seconds as a form of seconds counter, none of them rotate around their second and third axes at the same rate! 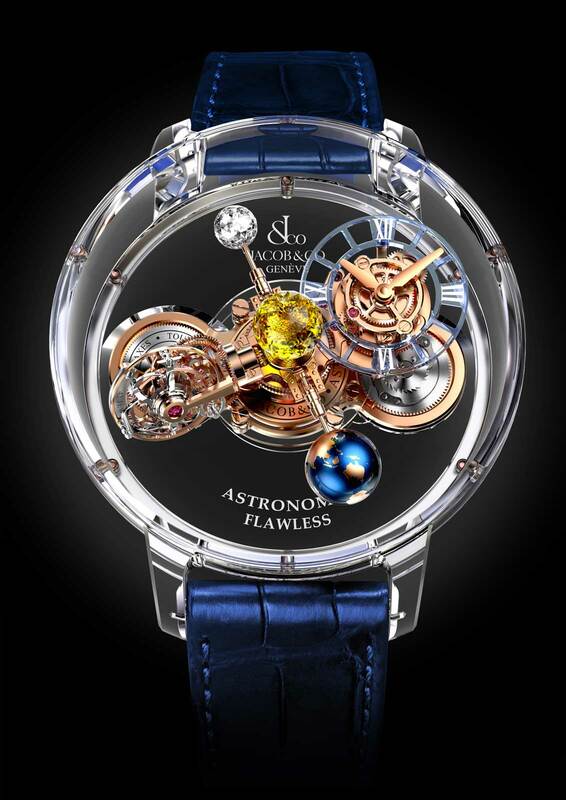 The Jacob & Co. Astronomia is the slowest of our three, but for very good reason. The triple-axis tourbillon in the hand-wound JCAM16 movement is one of four elements that are mounted on a central axis that completes a full revolution of the dial in 20 minutes. 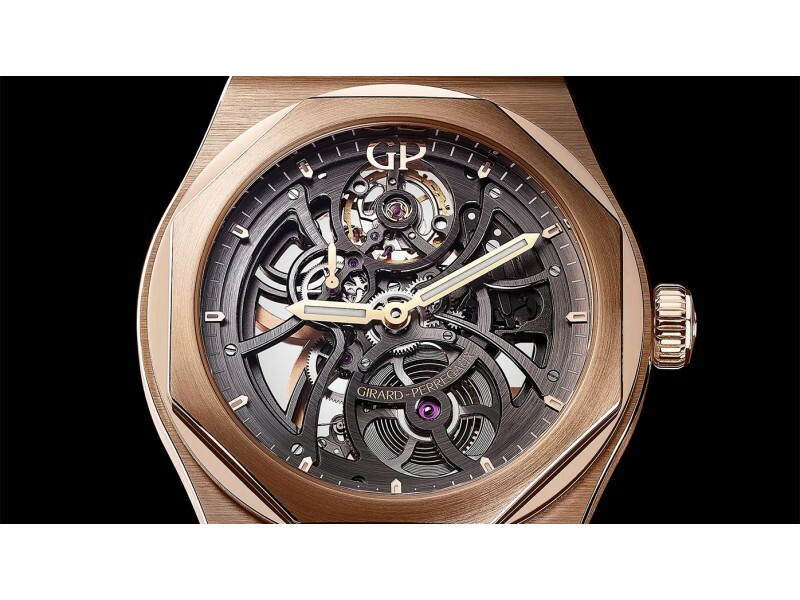 In addition to the 60 seconds rotation about its first axis, the tourbillon rotates around a second axis in five minutes. The astronomical ballet includes a diamond sun, a faithful miniature depiction of the earth and the hour and minute dials. And because the hour and minute dial rotates clockwise around the dial, its hands actually move counter-clockwise! Price: 1 million Swiss francs. 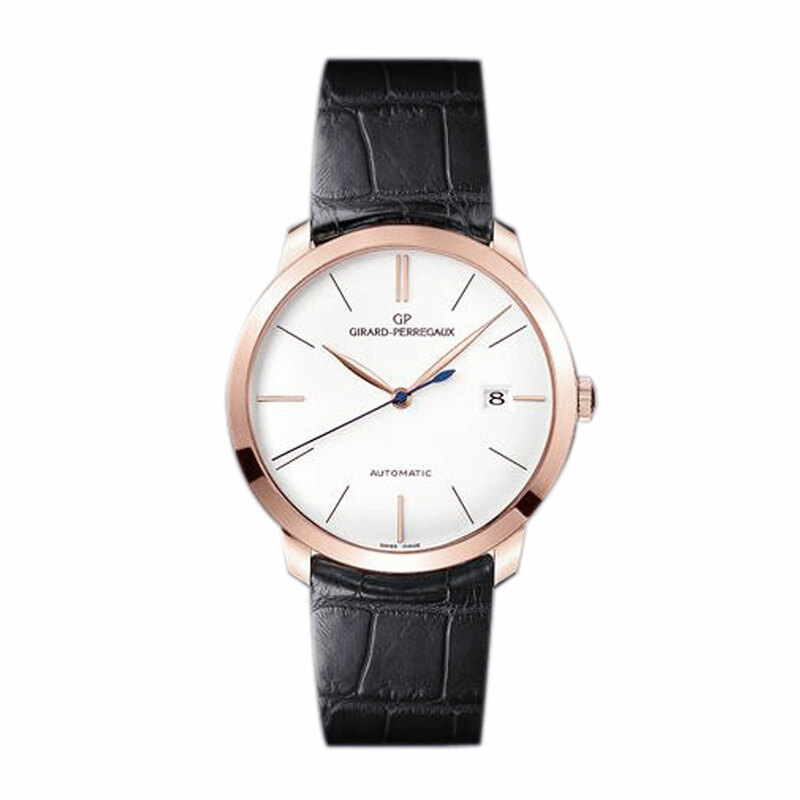 Whereas Jacob & Co. errs on the poetic side with its interpretation of the cosmos, Girard-Perregaux prefers a more practical approach. 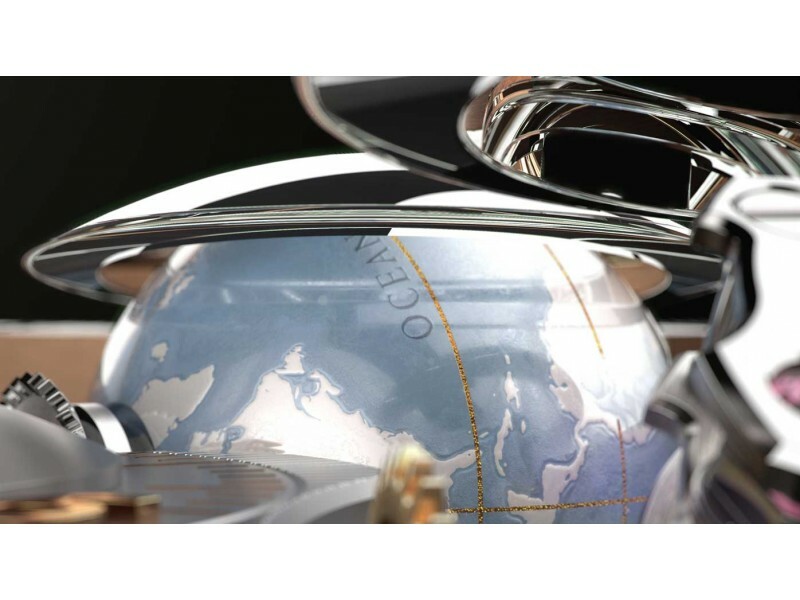 On the Tri-Axial Planetarium, the silver dial, which has been engine-turned with a pattern that resembles the lines of latitude and longitude, accommodates a 3D globe that rotates on its own axis, showing at a glance where it is day and night around the world. Above the off-centre hour and minute dial is a beautifully intricate astronomical moon phase display that is accurate to 122 years. The triple-axis tourbillon ups the ante by rotating around its second axis in just 30 seconds and its third in two minutes. 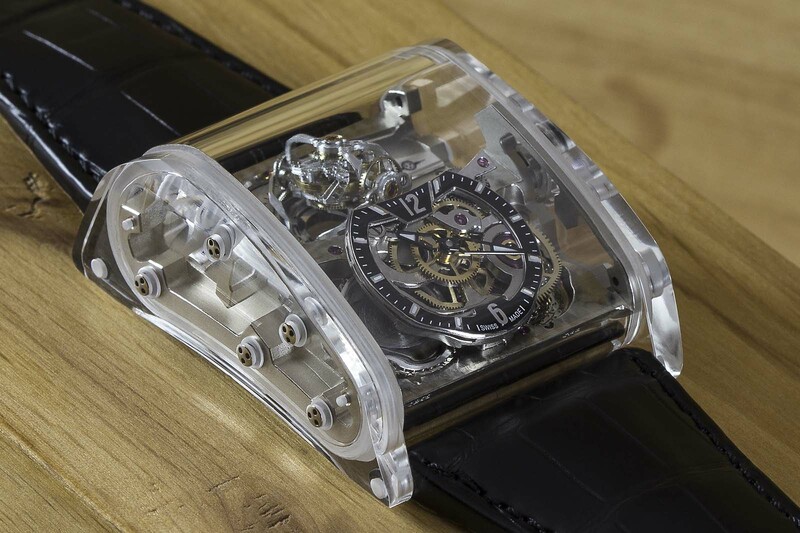 In its full-sapphire version, you can admire how Cabestan have completely re-thought mechanical movement design. 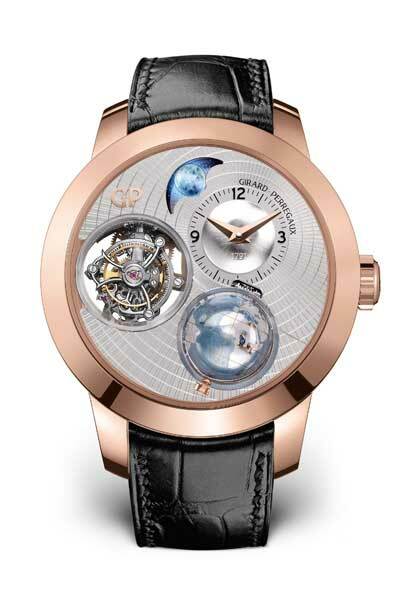 To avoid the need for a huge sapphire dome, like on the Astronomia, or spherical protrusions in the sapphire crystal like on the Girard-Perregaux Tri-Axial Planetarium, the Cabestan Triple-Axis Tourbillon accommodates its triple-axis tourbillon in the upper half of its trapezoid case, with the off-centre dial sloping forward to follow the inclination of the upper surface. Visible beneath is the signature technology that powers all Cabestan timepieces and forms the bridge between the historical traditions of mechanical watch and clock making and a future of sapphire crystal cases and innovative materials: the fusée and chain system with a 24 centimetre long chain consisting of 350 links and 234 rivets – all assembled by hand. The rounded sapphire crystal case also gives an uninterrupted view of the fastest tourbillon in our trio, since the Cabestan Triple-Axis Tourbillon spins at a mesmerizing 19 seconds about its second axis and 17 seconds about its third axis.